I wanted a quick treat to make & bring to work to share. (I also wanted to use up some of the ingredients in my pantry). This recipe fit the bill for both. 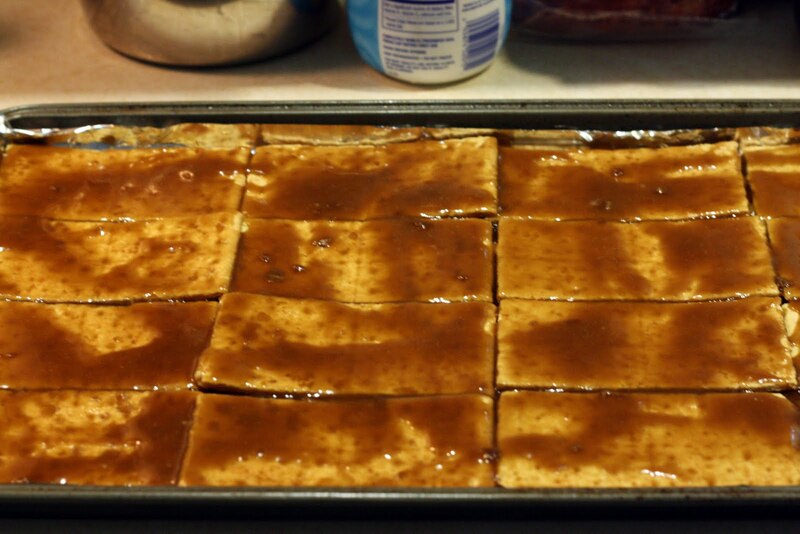 It was an easy way to make "toffee," although I overbaked mine for about one minute - they were just a tad dark. Keep a close eye on them while they are in the oven! 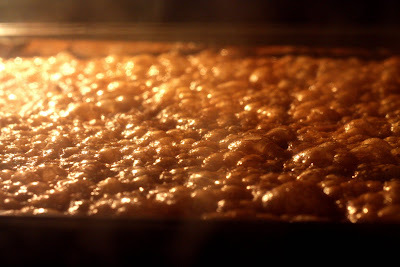 Melt the butter, brown sugar and salt in a heavy saucepan over medium heat. Cook until smooth, about five minutes, stirring frequently. Meanwhile, line a 15x10 rimmed baking sheet with foil. 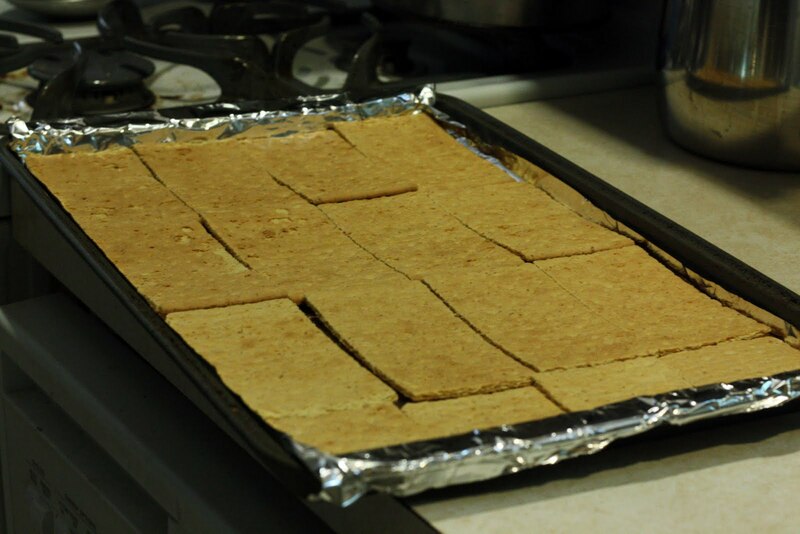 Arrange the crackers in a single layer on the sheet, breaking to fit as necessary. 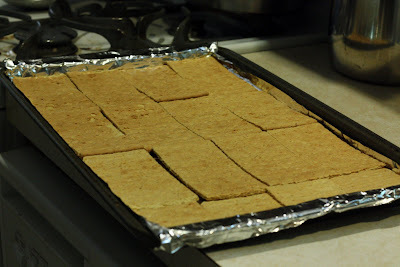 Pour the butter mixture over the crackers, spreading evenly and completely covering the crackers. Scatter chips evenly over top, return to oven until chocolate softens, 2 – 3 minutes. 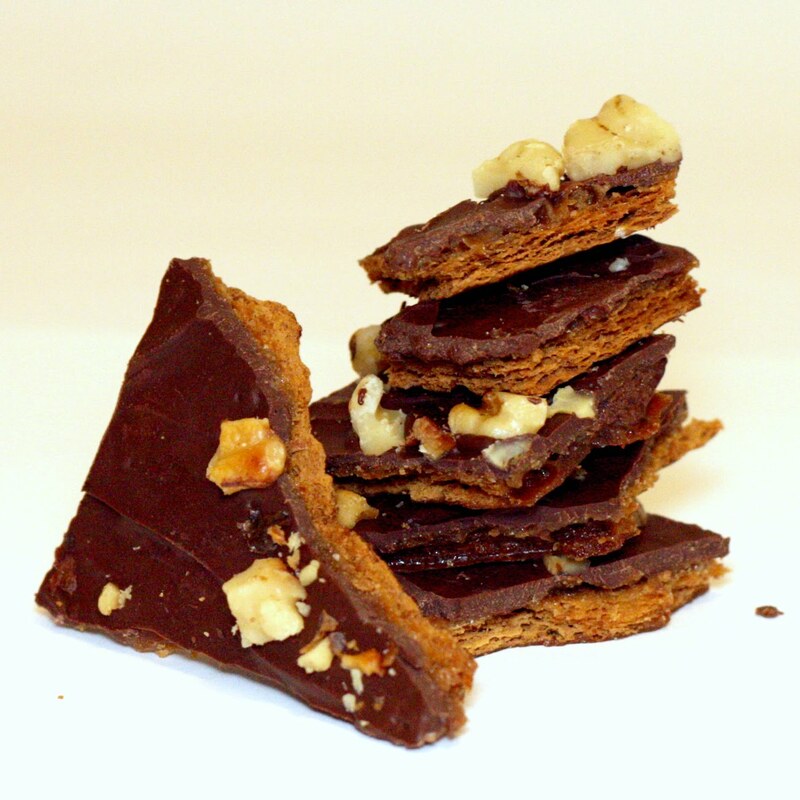 With a spatula, spread melted chocolate evenly over the crackers. Sprinkle nuts evenly over top the chocolate. Cool for 30 minutes, then transfer to freezer for 15 minutes. Remove foil, then break crackers into pieces (about 1 1/2 inch squares).